Cruise to the very heart of Antarctica – gateway to the South Pole and guardian of some of the richest Antarctic treasures. 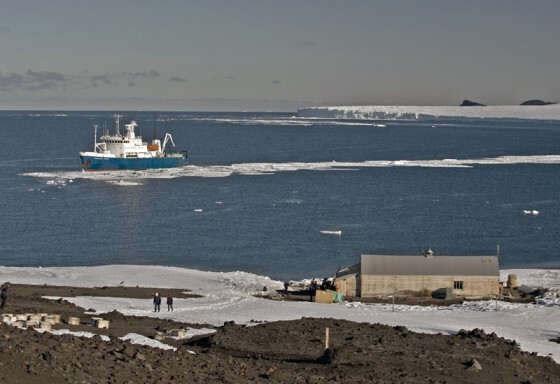 These expeditions include visits to the four huts of the historic period – those of Borchgrevink, Scott and Shackleton – plus the American, New Zealand and Italian scientific bases. Some great wildlife, including good opportunities for Emperor Penguins. The expedition includes visits to the New Zealand and Australian Subantarctic Islands. The landscape of the Ross Sea region is varied and unique. Key aspects of this landscape include the Trans Antarctic Mountains, the Ross Ice Shelf, small areas of ice-free ground including the McMurdo Dry Valleys, several active volcanoes, ice-covered ocean and over 4,000 km of coastline. The Trans Antarctic Mountains occupy much of the western part of the Ross Sea region. The mountains form a 4,000 km long chain across the Ross Sea region from Oates Land in the north, through to the McMurdo Dry Valleys and the Queen Maud Mountains south of the Ross Ice Shelf, before continuing across the continent to the Filchner Ice Shelf. In the Ross Sea region, the mountainous terrain varies in height from 1,500 to 2,500m and includes a number of peaks above 3,500m, with some over 4,000m. Ice and snow cover the mountains, with only a few areas of exposed ice-free terrain. To the west the polar plateau, a gently rising, undulating plain of snow reaches elevations of over 3,000m. On the Ross Sea side of the range, outlet, alpine and piedmont glaciers (tens of kilometres across) merge with the Ross Ice Shelf south of Ross Island calve into the Ross Sea to the north. Glaciers along the Shackleton and Amundsen coasts and ice streams from the West Antarctic Ice Sheet all feed the Ross Ice Shelf, the largest ice shelf in the world. This shelf covers an area of over 530,000 km2 and is a dominant feature of the region’s landscape. Measuring less than 100 m thick at its northern extent it reaches thicknesses of up to 1,000 m further south. An estimated 150 km2 of icebergs calve annually from this giant floating ice shelf. Islands dot the coast of the region and include the Possession Islands, Coulman Island, Franklin Island and Ross Island to the west, which is completely surrounded by the Ross Ice Shelf. Ross Island is centred on Mt Erebus (3,795m), the world’s most southerly active volcano and one of the world’s largest volcanoes. Mount Terror (3230m), an extinct volcano, is separated from Mt Erebus by Mt Terra Nova, all familiar landmarks on Ross Island. Mount Melbourne (2,730m), another active volcano in the Ross Sea region, is one of very few volcanoes situated on the continent itself. For hundreds of millions of years, Antarctica formed a part of the super-continent Gondwana, which was made up of present day South America, Africa, India and Australia. About 180 million years ago Gondwana began to break up and, as it did so, continents, subcontinents and islands were formed. About 120 million years ago the pole moved on to the continent of Antarctica. This event was followed by the northward movement of the surrounding continent. The cooling that led to the first ice sheets 34 million years ago, began just a few million years earlier. The ice cap, which now envelops the Antarctic continent, covers two distinct geological areas. East Antarctica is a large landmass with a crustal thickness of between 30 and 40 km. West Antarctica, however, is an archipelago of islands with a crustal thickness of only 10 km in some places. The junction between East Antarctica and West Antarctica lies hidden beneath the Ross Sea and the Ross Ice Shelf. Due to the weight of the ice cover, most of the rock surface of Antarctica is now depressed below sea level. The geology of the Ross Sea region is known primarily from outcrops of rocks along the Trans Antarctic Mountains to the west and in north western Marie Byrd Land to the east. The foundations of the Trans Antarctic Mountains include 3 billion-year-old gneisses of the East Antarctic shield and early Paleozoic metasedimentary and plutonic rocks of the Ross Orogen. These are covered with a super structure that comprises over 2 km of flat-lying sedimentary strata (the Beacon sandstone) 350 to 180 million years old, which are capped by dolerite intrusions and lava flows. Northern Victoria Land, however, has a more complex history that is linked to that of New Zealand and Edward VII Land, which borders the eastern Ross Sea. The present geography of the Ross Sea region began to form around 55 million years ago, when the Trans Antarctic Mountains began to rise. Volcanism became extensive much later, dating from around 25 million years ago. Topographical features from this activity that can be seen today extend from Mt Howe at 87oS to Cape Adare in the north include Black and White Islands, Minna Bluff, Mt Discovery, Ross Island in the McMurdo region, and Mt Melbourne in Terra Nova Bay – all part of the McMurdo volcanic groups and largely occurring along the Trans Antarctic Mountains. Volcanoes with a similar age range are also known to exist in western Marie Byrd Land. Eight expeditions were active in the Ross Sea region during the Heroic Era of Antarctic history (1895-1917), leaving behind some of the most important relics relating to humanity’s discovery of the continent. The Ross Sea provides the shortest overland route to the South Pole. The pursuit of this prestigious geographic landmark was the focus of the first expeditions into the Antarctic interior and a unique feature of Ross Sea region activity. Robert Falcon Scott led the pioneering, but unsuccessful, attempt to reach the pole in 1902. Another unsuccessful attempt was made by Ernest Shackleton in 1908, before it was finally reached by a Norwegian party, led by Roald Amundsen, in December 1911 and a British party, led by Robert Scott on his second attempt, in January 1912. Whilst in the Antarctic these early explorers also carried out often extensive geographic and scientific exploration, mapping previously undiscovered areas, collecting and analysing plant, animal and rock specimens, and conducting scientific experiments. These activities, which continue today, marked the beginning of our efforts to understand the continent. Tangible evidence of the breadth of these early explorations exist in the temporary shelters, field depots and rock cairns placed along expedition routes throughout the region, and in the artefacts housed in buildings erected by the expedition parties. Thirty-four sites related to the Heroic Era have been identified as historically significant in the Ross Sea region. 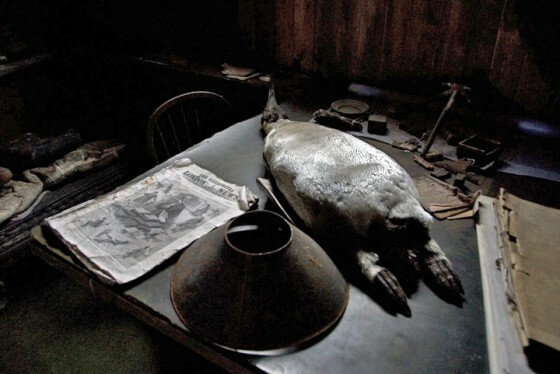 The abundance of Heroic Era remains distinguishes the Ross Sea region heritage from other parts of Antarctica. Several American expeditions visited the Ross Sea region through the 1920’s, 1930’s and 1940’s, largely exploring areas of Marie Byrd Land and towards the polar plateau. However, it was only from the 1950’s and the advent of the International Geophysical Year that a permanent human presence was established in the region, in the form of scientific research stations that were maintained by the national programmes of New Zealand and the United States. Three year-round scientific stations were established in the 1956/57 season – including those on Hut Point Peninsula by New Zealand (Scott Base) and the United States (McMurdo Station) and one at the South Pole, also established by the United States. Other stations established during this time at Cape Hallett and at Little America on the Ross Ice Shelf have been decommissioned. More recently, in 1987, Italy constructed a summer-only station at Terra Nova Bay in northern Victoria Land and Germany also established a small summer-only station nearby, which is occupied about every third summer. Greenpeace operated a small year-round station at Cape Evans from 1987 to 1992, when it was removed. National programmes have also established, and currently operate, over 20 smaller summer field stations and other facilities throughout the region. Commercial exploitation of resources in the Ross Sea region began in the 1920’s when Norwegian whalers entered the Ross Sea. Others followed this initial interest, and by the 1930’s unrestricted exploitation of the resource saw thousands of whales killed and a collapse of the industry. The first tourist visits to Antarctica began in the late 1960’s. Today, tourism activities consist of summer-only operations supported by ships, with total tourist numbers below 1,000 per year. Exploratory fishing activity in the Ross Sea region began in earnest in the 1996/97 season when one New Zealand vessel ventured south. Since then, activity has increased to two to six vessels each year fishing for toothfish, with a total catch over this period of approximately 1,700 tonnes. Japan carries out scientific whaling activity in the Southern Ocean each summer, with around 440 mike whales being caught, including from parts of the Ross Sea. This hut was built by the National Antarctic Expedition 1901-04, led by Commander R F Scott RN. It served as a store room, laboratory and theatre for the expedition members who lived on their ship “Discovery” moored alongside in Winter Quarters Bay. Similar to an ‘outback’ design, it has double thickness walls and floor insulated with felt. It was a prefabricated unit purchased in Australia for ₤360.14s.5d. Some assembly markings are still visible on outside walls. The hut is steeped in history, as it was also used as an advance sledging base for Shackleton’s 1907-1909 expedition which had its wintering base further north at Cape Royds. Scott returned here during his Terra Nova expedition of 1910-1913. Although he decided to winter at Cape Evans, Discovery Hut became the stepping off point for his bid for the Pole. During Shackleton’s ill-fated Imperial Trans-Antarctic Expedition 1914-1917 the Ross Sea party used it as a refuge in cold, dirty conditions for weeks on end while laying depots to the south. It was from here that Leader Aeneas Mackintosh and Victor Hayward, while recovering from scurvy, set off over fresh sea ice for the comparative comfort of Cape Evans. They were never seen again. After 1917 the old hut remained abandoned until it was visited by a group from the United States icebreaker “Burton Island” during Operation High Jump in 1947. When the current era of Antarctic activity began in 1955 some maintenance was undertaken by Trans-Antarctic Expedition members. Later in 1964 accumulated interior ice was removed. The surrounding land areas have been extensively modified by human activity. This hut was built by the British Antarctic (Nimrod) Expedition 1907-1909 led by Ernest Shackleton. In late January 1908, Shackleton was unable to land at King Edward VII Land and decided to enter McMurdo Sound. Ice conditions prevented him from reaching Hut Point, so he chose Cape Royds as the site for the expedition’s winter quarters. On 6 February they began to erect their 7x8.5m prefabricated building, bought in London for ₤154. Foundations were dug in the rocky, frozen ground and wooden piles were set with a mixture of cement and cinders. The unpainted building was insulated with Stoniflex felt and granular cork helped by stacking stores around the east and south walls. The space between the walls and provision cases was filled with gravel. Inside light came from two double glazed windows in the north wall and lamps fed by a carbide acetylene generator, which remains above the door. Stables were added along the north wall for the four surviving Manchurian ponies and a garage was built alongside for an Arrol-Johnston motor car, the first motor transport to be used in Antarctica. Except for Shackleton, who had his own ‘room’, expedition members were accommodated in two-man cubicles with improvised beds and curtains hanging from wires. Two other small rooms became a laboratory and photographic darkroom. Shackleton wrote: “It was not a very spacious dwelling for the accommodation of fifteen persons, but our narrow quarters were warmer than if the hut had been larger”. When members of Scott’s second expedition visited Cape Royds in January 1911 they found evidence of a rapid departure. A meal was on the table and socks were hung on a line to dry. Cape Royds was later visited by members of Shackleton’s Ross Sea Party (1915-1917), who had been marooned at Cape Evans. They came to forage for matches, tobacco and soap to supplement their own meagre supplies. This hut is the largest historic building in Antarctica. It was one of three taken south on “Terra Nova” for use on the 1910-1913 British Antarctic Expedition led by Captain R F Scott RN. In summer 1911-1912 the hut was extended when stables and a long annex were built. The hut served as a base for extensive scientific field study and surveys, as well as Scott’s journey to the Pole. Between the inner and outer wooden claddings of the hut walls and ceiling is an insulating layer of shredded seaweed sewn into jute quilting. During Shackleton’s ill-fated Imperial Trans-Antarctic Expedition ten members of the Ross Sea party were marooned here in May 1915, after their ship “Aurora” was blown out to sea and unable to return. The cross on Windvane Hill is a memorial to three of the Ross Sea party who perished. Two of “Aurora’s” anchors remain embedded in the beach in front of the hut. When the current era of Antarctic activity began in 1955 some maintenance was undertaken by Trans-Antarctic Expedition members. Later, in 1960-1961, accumulated interior ice was removed. The British Southern Cross Expedition (1898-1900), led by Norwegian Carsten Borchgrevink, built two huts at Cape Adare in 1899. Borchgrevink’s living hut and stores’ hut were constructed of interlocking boards tightened by steel rods, and the roof weighted down with bags of coal and boulders. The living hut had a double floor and walls insulated with paper. Sliding panels and curtains on the bunks gave privacy to the occupants. A double glazed window, with an exterior shutter and a saloon lamp from the ship, provided lighting. Medical supplies, bottled provisions and surplus clothing were stored in the loft which was later used by Borchgrevink as a study. Two small rooms either side of the entrance porch were lined with wool and fur and served for a photographic darkroom, instrument storage and taxidermy. The stores’ hut was a single layered, uninsulated structure. Roof trusses were removed when Borchgrevink planned to relocate it as a base to prepare for a sledging bid to the South Magnetic Pole. This did not happen and trusses remain alongside. Later, in February 1911, the six member Northern Party of Scott’s Terra Nova Expedition arrived at Cape Adare. They used Borchgrevink’s huts while their own was assembled nearby. The fierce winds of the area quickly took their toll and the outer wall of Campbell’s porch was blown in. The hut remained intact, but another storm ripped off some of the outer planking. The party remained here until January 1912, when “Terra Nova” picked them up. Conditions since have reduced the hut to ruins, and now only the porch still stands. The terrestrial environment of the Ross Sea region is dominated by glacial ice, which covers over 95 percent of its land surface. Three distinct glacial systems are represented in the Ross Sea region and include parts of the East and West Antarctic ice sheets, ice shelves and generally smaller glaciers. The East and West Antarctic ice sheets (together referred to as the Antarctic Ice Sheet) contain over 90 percent of the Earth’s ice and extend well beyond the Ross Sea region into the rest of the Antarctic continent. Approximately half of the 46,000 km2 of ice-free ground and soil forming areas of Antarctica occurs within the Ross Sea region, including the largest continuous expanse of ice-free ground, some 6,000 km2 found in the McMurdo Dry Valleys in southern Victoria Land. In the few ice-free areas, runoff from glaciers and summer snow-patch melt are fundamentally important to life because of the shortage of water in this polar desert. Bare rock is estimated to make up 10 percent of the ice-free areas of the Ross Sea region. Elsewhere, soils are poorly developed with an absence of organic material accumulation in an environment where vegetation is extremely limited. Permafrost, a permanently frozen mixture of ice and soil, ensures that below the surface the soils are rock-hard. Processes that form the soils, including weathering the leaching, operate at an extremely slow rate due to the harsh Antarctic climate. However, the soils are diverse due to differences in land-surface age (which range from a few thousand to millions of years), soil parent material and local climate variations. Despite the harsh conditions, terrestrial biota occur in these ice-free areas, which might be characterised as comprising a set of largely coastal, polar “oases” where plants and invertebrate animals survive. Biodiversity is low and shows a decline from the warmer north, to the south of the region. For example, 47 plant species (lichens and mosses) are found in northern Victoria Land, while only eight are found in the McMurdo Dry Valleys, further to the south. Although rain has not fallen in the Ross Sea region for at least 2 million years, a collection of unusual ponds and lakes also persists, fed by seasonal summer meltwater streams from snow patches and the surrounding glaciers. These freshwater lakes, ponds and streams are common in the ice-free areas, although their extent and persistence varies with climatic conditions and again show a north-south decline in frequency. Liquid water only persists year-round in ponds where high salinity results in freezing points well below zero and in large ice-covered lakes. The lakes remain ice-covered year round under 3-5 m of ice, and their waters are often highly stratified, with layers of water of differing temperature and density. The Southern Ocean surrounds Antarctica, has a profound influence on the continent, and plays a major role in many important global processes. In the Ross Sea region the Pacific sector of the Southern Ocean extends into a large embayment, the Ross Sea, which stretches between Cape Adare in the west and Cape Colbeck in the east. A complex system of frontal zones, water masses and oceanic currents is found in the Ross Sea and many of these water masses and currents play a major role in Southern Ocean and global oceanic circulation. During winter the sea ice extends to cover up to 85 percent of the Ross Sea, with considerable year-to-year variation. Large polynyas (areas of combined open water and thin ice surrounded by sea and/or land and ice) are a feature of the Ross Sea and play an important role in many natural processes, including heat transfer from ocean to atmosphere, and phytoplankton production. The Ross Sea polynya contains the most productive and spatially extensive phytoplankton bloom in the entire Southern Ocean and in mid-winter covers an area of 27,000 km2. The Ross Sea is characterised by high levels of phytoplankton primary production in the spring and summer. However, the production of zooplankton (secondary producers) is similar to that found in other comparable areas of the Southern Ocean. Below the surface a cold and dark, but also extremely stable benthis (sea floor), environment exists where many animals grow slowly, are long-lived and sometimes attain giant size. The biodiversity of these benthic communities is also extremely high. Squid, fish, birds, seals and cetaceans (whales and dolphins) constitute the higher order predators, as in other parts of the Southern Ocean. Alberts, Fred G Geographical Names of the Antarctic. Washington D C, US Government Printing Office, 1981. Amundsen, Ronald The South Pole, John Murray, London 1912. Bickel, Leonard Shackleton’s Forgotten Argonauts, Melbourne, Australia 1982. Borchgrevink, C E First on the Antarctic Continent: Being an account of the British Antarctic Expedition 1898 - 1900, Geroge Newnes, London. Byrd, Richard E Alone, Putnam, London 1938. Cameron, Ian Antarctica: the last continent, Cassell, London ,1974. Fothergill, A Life in the Freezer - the Natural History of the Antarctic , BBC Books, 1993. Garrard, Apsley Cherry The Worst Journey in the World, Chatto and Windus, London 1951. Hatherton, T (Edt) Antarctica - the Ross Sea Region. DSIR Publishing, Wellington, 1990. Hilary, Sir Edmund No Latitude for Error, Hodder and Stoughton, London 1961. Huntford, Roland Scott and Amundsen, Hodder and Stoughton, London 1979. Huntford, Roland Shackleton, Hodder and Stoughton, London 1985. Knox, G A The Biology of the Southern Ocean, Cambridge University Press, Cambridge, 1994. Mear, R and Swan, R In the Footsteps of Scott, Jonathon Cape, London, 1987. Ponting, Herbert G. The Great White South, Duckworth & Co, London, 1921. Readers Digest Antarctica - Great Stories from the Frozen Continent. Readers Digest, Sydney, Australia, 1985. Roberts, Brian Edward Wilson’s birds of the Antarctic, Blandford Press, London, 1967. Ross, James Clark A voyage of Discovery and Research in the Southern and Antarctic regions during the years 1839 - 43, John Murray, London. Savours, Ann (Ed) Scotts Last Voyage through the Antarctic Camera of Herbert Ponting, Sidgwick & Jackson, London, 1974. Scott, R F The Voyage of the A Discovery@, Smith Elder, London, 1905.